The Motorola Moto X, the new flagship phone has now been released from networks such as Rogers, At&t, T-Mobile and other GSM networks. The Motorola Moto X comes generally carrier locked, but can be unlocked to be used on other GSM Networks. 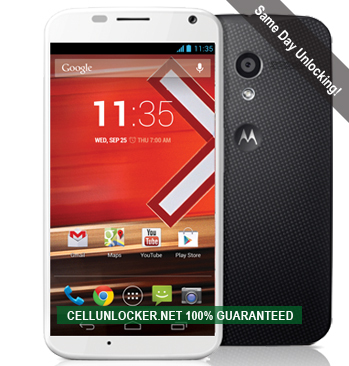 Why Unlock your Motorola Moto X Phone with Cellunlocker.net? 100% Guaranteed to Unlock your Motorola phone!